﻿ Work At Home Careers is the internet resource for help in finding a work at home career, job, articles, and tools to earn money from home. Work at home career advice. Free internet marketing ideas and how to drive traffic on the net. What you should know about working from home. Who Is Work At Home Careers? we are an online magazine offering resources, articles, advice, offices and a support center for anyone who works at home or would like to. We provide helpful news articles, seminars, tools, and resources to help you in your home office, job and business. Be sure to check out our free “How to Go Green” webcast each week. Watch for free seminars for the entrepreneur on setting up a home office, success at home and much more sponsored by Work at Home Careers. 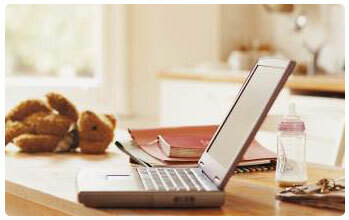 Many people would like to have a work-at-home career but they don't know where to start. If that’s you, click on our “Work at Home Career Advise” section. Maybe you already have a work at home job but you need help to balance family, life and work. Let us recommend the work at home section on “You Can Have It All” You’ll love all the helpful articles and tips. We have thousands of people visiting us each week for our expert advice on marketing, website promotion and how to use the internet effectively. If you are a mom, don’t miss the Mom’s Corner. Thinking of leaving a corporate job and need to do some research on the possibilities? We can help there too.